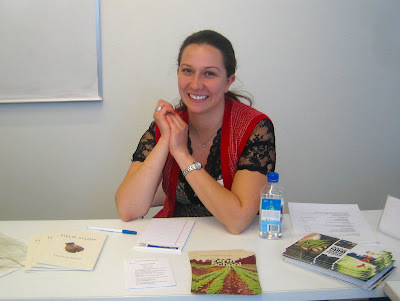 Congratulations to The FCI alums who made their way to a James Beard Foundation Award nomination this year! With warm temperatures and sunshine beaming through the windows after a week of gloom and rain, one would anticipate the requisite feelings of energy and anticipation known as spring fever to be afoot in the halls of The International Culinary Center. But with the school opening its doors to more than 40 employers for our semi-annual career fair the sense of excitement in the air was almost electric. 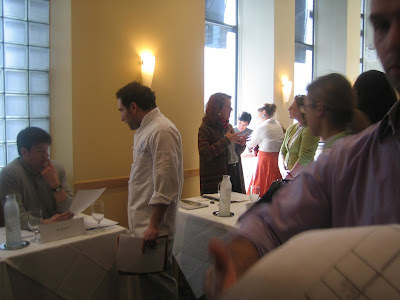 Students appeared in their best attire (professional dress or chef whites) to share their résumés, make some contacts, and scope out future employment options. 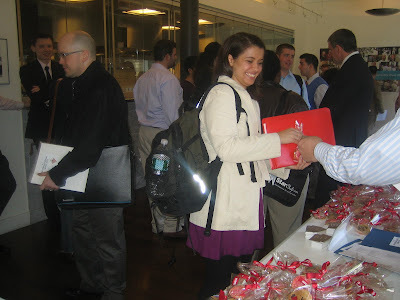 The fair was held on all four floors of the school this year, and a wide range of employers participated. Restaurant groups to small chef-owned restaurants; management, culinary, pastry, and editorial positions—there was something for just about everyone. 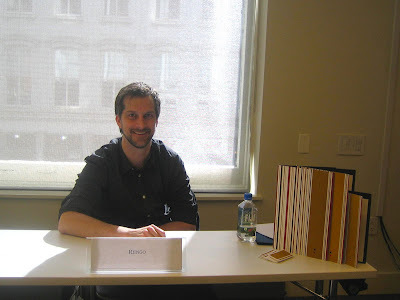 Students still at the beginning of their program came for recon, while those closer to graduation looked for externships and postexterns looked for jobs. Career Services did a fantastic job of organizing the event. Employers reported excitement about the quality of the students, and students were excited about the quality of the employers. All in all, the future, like the weather, was looking bright, and it was time to bring out the shades. 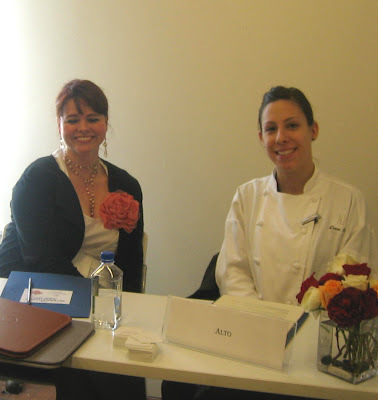 Above, from left: Tara Grey, private dining coordinator, and Dana Kovalsky, pastry chef, Alto; Cristina Garcia, chef (and FCI alum), The Farm School. Left: Jimmy Lappalainen, executive chef, Riingo. There are perhaps a thousand-and-one reasons to like The FCI, but one I particularly enjoy is the afternoon chef demos. 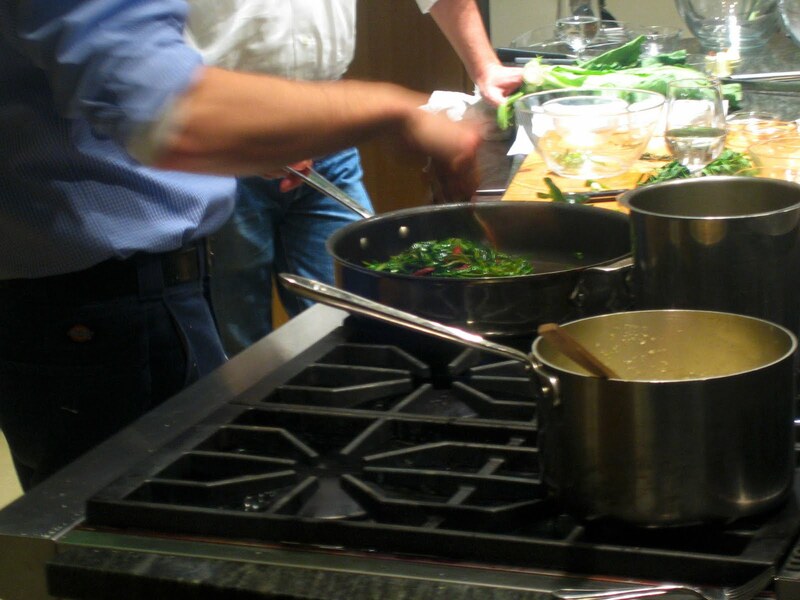 They provide a rare opportunity to meet a variety of chefs and food industry professionals, watch them cook, and taste their creations. I enjoy seeing the unique approaches to food and cooking, interests, and personalities of our guest chefs and presenters. You may find yourself listening to the stories and insights of a cookbook author, a top-talent chef, or a cheese importer. But all presenters share some commonalities: their pursuit of excellence and their passion. It's fun to be able to watch and interact with them in an intimate setting. And tasting isn't so bad either. Curiosity may have the better of me in this instance. I can't say I have ever passed up an opportunity to taste. And this week, the students had the opportunity to sit back and enjoy the tales and tastes of the South via The Lee Brothers. I have one sibling, and we're about as thick as they come. You know...like peanut butter and jelly or salt and pepper or ketchup and mustard...you get the point. And so, I found myself intrigued with this sibling duo beyond their cookbook and catalog ventures. 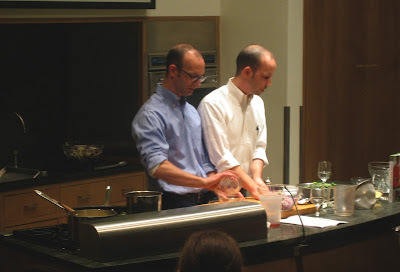 Easy and casual in their manners, Matt and Ted churned out interesting and tasty dishes along with a whole raft of engaging stories about the South, cooking, their experiences, and professional tips and inside information valuable for any wannabe writer or cookbook author. Perfectly charming, their love of Southern life and cooking and the thoughtful way they have gone about sharing it was more than winning. We watched Matt and Ted grind their own grits, braise some oxtail, cook collard greens with chiles and chorizo, and toss together a beautiful salad of cabbage, limes, and roasted peanuts. And it all tasted delicious. If you prick your ears at the mention of buttermilk pudding cakes, frogmore stew, pimento cheese potato gratin, or sweet potato pie, you'll definitely want to check out their cookbooks. Oh, and did I mention their latest book, Simple Fresh Southern, was nominated for a James Beard Award? Winners announced in May. Good luck, boys! We'll see you there. 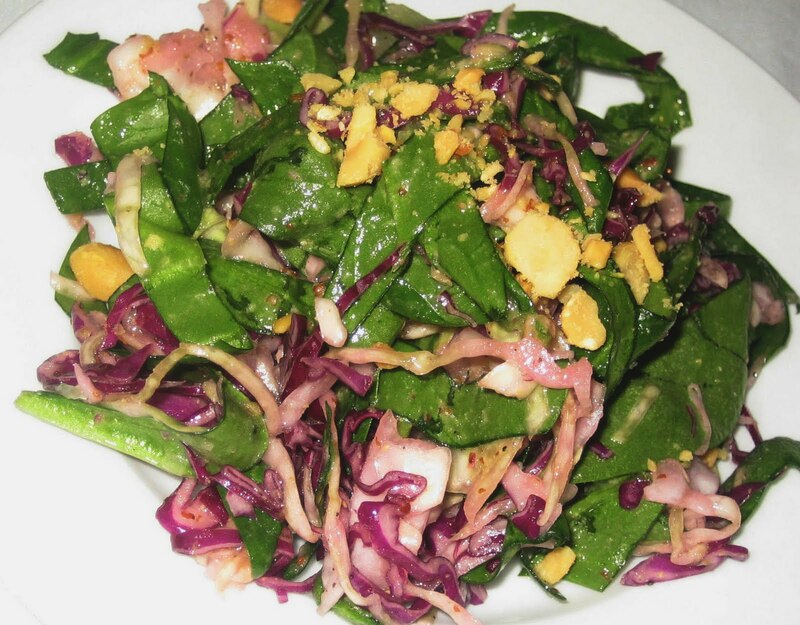 Winter salads can be just as vibrant as June's blowsy, lazy salads, if you use a little creativity. Pretty 'red' cabbage—more of a purple if you ask us—and green cabbage can be wilted with salt and a simple peanut and cumin dressing. The resulting slaw-salad has a brisk tropical feel from the fresh bits of lime (a perfect winter fruit if there ever was one) and a satisfying crunch. The cabbages can be speedily shredded with a food processor and salted a day ahead of time for quick assembly on the day you intend to serve the salad. 1. In a large bowl, toss cabbages and salt. Place cabbage in a colander set over a bowl. Let drain for 2 hours. 3. Add the spinach to the cabbage and scatter the lime segments over the top. In a medium bowl, whisk the juice, mustard, and cumin. Add the oil in a thin stream, whisking constantly until the ingredients are thoroughly emulsified. Toss the salad with the dressing. Add the peanuts. Season. This salad is best served immediately, but leftovers will keep for a day or two in the refrigerator. Dave Arnold, Director of Culinary Technology, appeared on Fox's Good Day NY this week to talk about what to do with your refrigerated and frozen food when the power goes out. 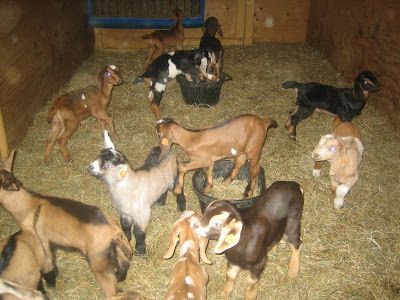 Twelve dedicated students and one administrator made the two hour journey through driving rain, wind, and potholes to visit Sprout Creek Farm near Poughkeepsie, New York, last Saturday. 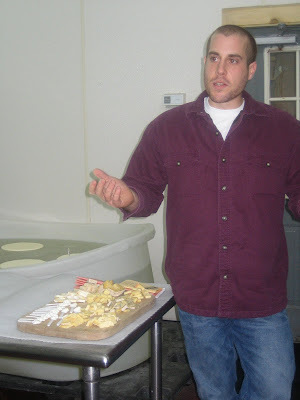 The farm's primary purpose is to promote responsible stewardship of land and animals through educational farming programs, and they just happen to also make really delicious cheese while they are at it. 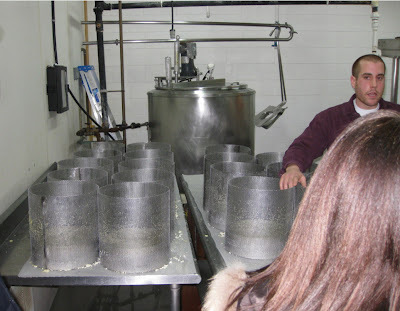 We were met by cheesemaker Colin McGrath, who took us into the creamery for a tour and tasting of the cheeses. 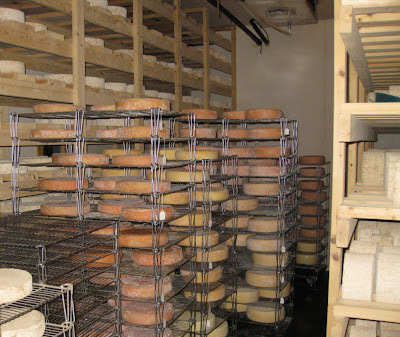 Sprout Creek is an artisanal operation with only two full-time cheesemakers, yet they produce an impressive amount of cheese—about 12 different kinds made from cow and goat's milk equaling about 40,000 pounds of cheese a year. 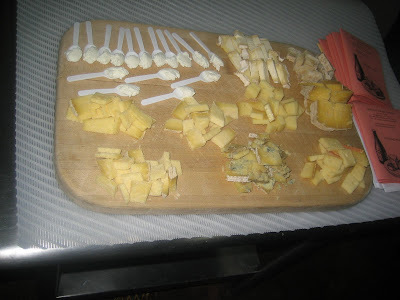 All of the cow's milk cheeses are made with raw milk, which contains enzymes that naturally protect the cheeses from harmful bacterias and molds while they age. 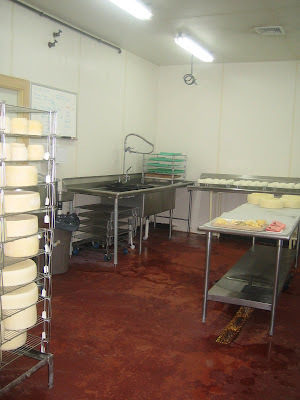 We learned that over 100 gallons of cow's milk is needed to produce just one 12-pound wheel of cheese and that different cheeses are made by adjusting the amount of moisture and acidity, controlling the amount of lactose, and introducing various strains of bacteria and mold as needed to complete the fermentation process. Yes, cheese is a fermented product, just like beer or wine, and can continue to age long after it's been brought home from the store. 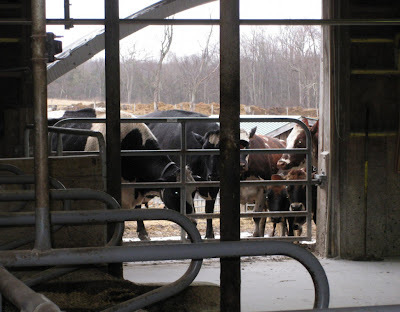 We also learned that the types of grasses, the time of the year, the temperature, the soil content, the amount of people that visit the creamery, and a myriad of other variables can affect the final product. In addition to the delicious cheese we tasted, we also got to meet some of the new kids and calves at the farm, and we finished our tour by watching the "working girls" (cows) get an afternoon snack and some affection while getting milked. It was a great way to spend a rainy day! Pati D'Eliseo is currently enrolled in the Italian Culinary Experience at The Italian Culinary Academy, sister-school to The French Culinary Institute, and will graduate in July 2010. Her favorite restaurant in New York City is Via Emilia, a Modenese restaurant featuring specialties from that city and the region of Emilia-Romagna. One had to be determined or very thirsty to brave the snow on February 25 in order to attend the student club outing to Death & Company in the East Village! Twenty-four of us were one or the other, and I can assure you that it was well worth fighting the elements. 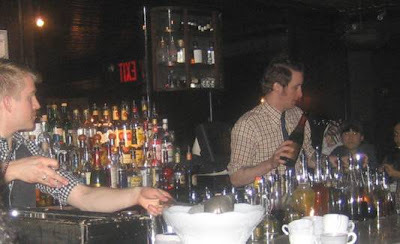 We were fortunate to have master mixologists Thomas Waugh and Alex Day welcome us and talk about the evolution of the cocktail, as well as the importance of using great ingredients and paying attention to the details in order to get the best results. Nothing was lost on the students. They listened attentively as the duo showed their shaking techniques and explained how a drink is mixed can dramatically affect the texture and taste. They told us that choosing your blending style is important, and the shape of your ice is also important (details!). You want to choose each element carefully so that you achieve the perfect mouthfeel and balance in your drink. And something we know well at the school, they emphasized the difference it makes to start with quality ingredients—from the base alcohols to the mixes and bitters (they make all of their mixes and bitters in-house). We tasted a traditional punch, a stirred drink, a shaken drink, and a blended drink throughout the night. 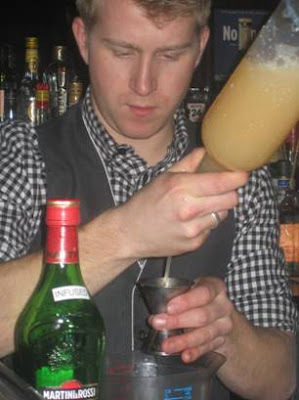 Thomas and Alex’s passion and dedication to their craft shines through in their concoctions. And by the end of the night, we had all raised a glass to that. Rhonda Lynn is the assistant dean of student affairs and organizes the clubs and activities that enrich students' education at the school. Her favorite drink of the evening? Mother's Ruin Punch—"surprisingly elegant and, with all the spices, the perfect welcome in from the snow." Tory Johnson, CEO Women for Hire, talks to Dorothy Cann Hamilton, founder of The French Culinary Institute, about her new book, Love What You Do, finding your inner talents, and how to marry them with your passions to find a profession you will enjoy going to every day, plus all the diverse job opportunities in the culinary arts.